Yesterday, as reported in NZ Herald this morning, Urban Auckland served notice on POAL and Auckland Council that it would shortly be issuing High Court papers challenging the resource consent process for the proposed B2 and B3 wharf extensions to Bledisloe Wharf. "...Urban Auckland places you on notice that it intends shortly to issue High Court proceedings to challenge the lawfulness of the decisions made by Auckland Council to process the multiple applications by Ports of Auckland Limited (POAL) for its proposed B2 and B3 Bledisloe wharf extensions on a non-notified basis and subsequently to grant those applications...."
".... A consequence of those errors is that Council did not protect the Waitemata Harbour from the adverse effects of B2 and B3, despite this being our most iconic public domain asset, and “Auckland-defining”.... Rather than protect the Waitemata Harbour, Council has allowed POAL to take more for itself without any public input. Council should have intervened. It failed to require an integrated and holistic assessment of POAL’s expansion. That was unlawful. Council should have bundled the relevant consents together, and looked at the bigger picture. Integrated management requires nothing less. Further particulars are below...."
And if you didn't get to attend the protest last Sunday, you can see video clips of what PJ Montgomery, Chris Dickson and Cllr Chris Darby said here. The waterfront bull-rush battle amongst Ports of Auckland (POAL), Auckland Council (and its family of Council-Controlled Organisations), property investors, and advocates for public space and sustainable transport, is the latest chapter in Auckland’s long history of public planning battles mocked as “the Auckland disease”: a symptom of severe growing pains, vigorous vested interests, and increasingly de-regulated public institutions. The battle goal has remained the same: control over economic or social benefits from waterfront land reclaimed from the seabed over the last one hundred years. By 1973 Ports of Auckland’s predecessor, Auckland Harbour Board (AHB) had reclaimed 160 hectares of Waitemata Harbour seabed adjacent to Auckland’s burgeoning central business district. Today POAL operates Auckland’s port on about 55 hectares of this land and much of the rest has been vested to Auckland City Council for public roads and streets, and to utility operators for public works like railways, bus and train stations, the central post office and gasworks. Sour grapes perhaps, but this is the basis of much of the Auckland disease, and also why Wellington’s redeveloped waterfront is much more successful as a public attraction than Auckland’s central waterfront is today, and is shaping up to be in future. Auckland Harbour Board’s behaviour stands in stark contrast. 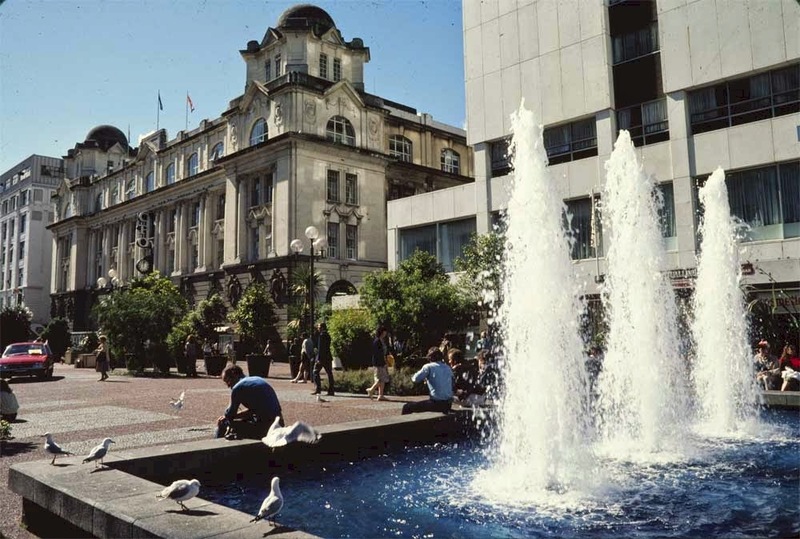 In 1965, increasing rent potential to more than $1.4 million/annum, AHB doubled ground floor area entitlements in its plans for the Auckland Downtown site. This led to the controversial 20 storey tower now known as the HSBC building and to an unsuccessful public space named Queen Elizabeth Square. And since 1997 POAL has pocketed more than $250 million from the sale of Queens Wharf, Princes Wharf leases, Viaduct Harbour land and Wynyard Quarter. Accounts setting out revenues that publicly-owned POAL earns from its waterfront real estate business, let alone from importing cars, and the extent to which these revenues subsidise its container handling charges, are all hidden from public scrutiny. Things might have been different if Auckland City Council had stood up to Auckland Harbour Board when it had the opportunity, and might still be different if Auckland Council accorded proper weight to its Local Government Act duties to ratepayers. Instead both institutions stand guilty of being bought off. Auckland City Council opposed the dominating POAL supported Hilton Hotel development on Princes Wharf until it was promised a rate revenue stream from activities that would be located outside its jurisdiction above the seabed. One might have expected Auckland Council to replace Queen Elizabeth Square with equivalent green space within the city fabric, but instead wants the silver on offer to compensate Precinct for carparks lost by the CRL tunnel; is attracted by the promise of development levies and rate revenues from expanded commercial development; has made vague unbudgeted promises to free up Queens Wharf and lengthen Captain Cook for cruise ships; and offers the public a cheap deal “letting us have access” to streets and wharf spaces that we already own! This cheap public land swap deal is especially cheap because any public money that might be paid to POAL can immediately be translated into a dividend so the Council gets its money back. Combined with POAL’s noisy claims it can built wharf extensions to Bledisloe and demolish part of Marsden Wharf all without public notification the casual and unconsulted sale of Queen Elizabeth Square simply add insult to past public injuries. Wellington’s waterfront development has not all been plain sailing however. Controversially its Regional Council granted consent for a Hilton Hotel on Wellington’s Queens Wharf which was challenged in the Environment Court by the Wellington Civic Trust and Wellington Waterfront Watchdog. The judge ruled that the adverse effects on the public enjoyment of wharf space adjacent to the hotel should not be permitted. The hotel has not been built and the status and quality of Wellington waterfront public spaces and amenities has been further protected and upheld. Auckland sorely needs the same sort of coordinated, principled and organized civic unrest to hold Ports of Auckland and Auckland Council institutions to account. The remarkable link between intrinsic human qualities such as behavior, conduct, and demeanor - and the external built environment has been recognized for years. Cities shape their citizens. Yet, this link is given little consideration in the design of Auckland’s redeveloping waterfront. The plans we see have public spaces that are shared with buses, cars and a light-rail line; spaces that are partly under private control and subject to surveillance; instead of public spaces that act simply as locations for urban interaction. Places which are only “accessible” to citizens rather than controlled by them through use, are not truly public places. Auckland has the opportunity now to design and create its own particular waterfront city form. One that is the shaping environment for people who grow and live here. One which actively addresses urban relationships that are overdue for repair including the city’s relationship with the Waitemata Harbour, sea and its ecosystems; the city’s relationship and engagement with Maori and Pacific culture; the built city’s relationship with shaded and leafy green spaces; the central city’s public relationship with its own citizens. Anyone remember this? Looking south east across Queen Elizabeth Square showing the Coutts Fountain, the corner of Customs Street, the South Pacific Hotel (far right), the Central Post Office (centre), Endeans building (far left). "Please acknowledge 'Sir George Grey Special Collections, Auckland Libraries, 1021-531' when re-using this image." The period is 1980-89. Looks like an Urban Designer in Auckland City Council tried hard for a while. Even then it was hard to get rid of the cars. They seem to have rights in Auckland that would never be tolerated in other first world cities. In Auckland we celebrate when we share space between pedestrians and cars (like on Princes Wharf and on Queens Wharf and on Queen Elizabeth Square). In Wellington cars were banned from waterfront public spaces almost two decades ago.